Sheideh qualified from the University of Leeds on 2011. Having grown up in South West London, she moved back home soon after graduating and has worked locally since. 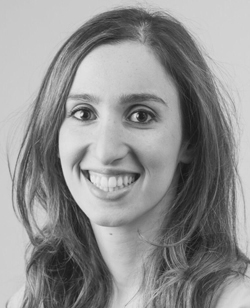 Sheideh was always keen to work in general practice and has completed her postgraduate Diploma in Primary Dental Care. Her gentle and caring approach to dentistry helps make her patients feel at ease. This relaxed and friendly nature has allowed many patients who had previously put off dentistry to regain their confidence and achieve their dental goals. Sheideh is also great with children, aiming to make their experience as pleasant as possible. She has continued to enhance her skills by regularly attending postgraduate training courses, focusing particularly on areas of Cosmetic and Restorative Dentistry. She has attended numerous year-long training courses and now plans to undertake her Masters in Restorative Dentistry. Sheideh has a passion for providing her patients with beautiful and natural smiles with minimal tooth preparation by using the latest technologies in adhesive dentistry. Sheideh is able to provide all aspects of general dentistry and cosmetic dental treatments including teeth whitening and natural looking tooth coloured fillings, crowns and veneers. She is also a certified Invisalign provider, able to straighten teeth using clear aligners. In her spare time, she enjoys travelling, baking and going for long walks in Richmond park.